""The GSP rebrand of our Down Home Kitchen brand has helped drive significant traffic, and repeat customers, into the store to sample our menu."" 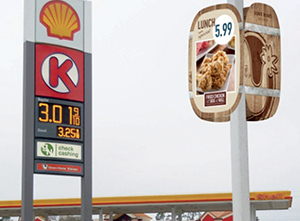 The Gulf Coast Business Unit of Circle K stores, which operates 302 stores in the states of LA, AL, MS, TN, Panhandle FL and AR. 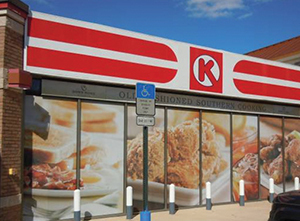 Known worldwide for quality products and great customer service, Circle K is one of the most widely recognized convenience store brands. 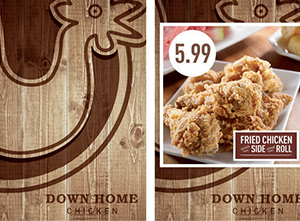 To upgrade the existing foodservice menu board and POP signage, and build a nostalgic and impactful reimaged program around the Down Home Kitchen food service brand—using effective exterior/interior signage with a major focus on food graphics. 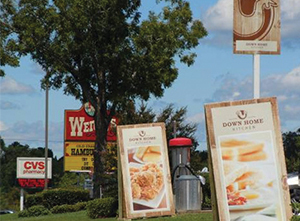 GSP developed a reimaged look for the Down Home Kitchen food service brand with a bold, impactful exterior sign program that drives traffic from the streets, to the pumps, to the store. All graphics and copy took inspiration from a nostalgic but updated walk through Grandma’s screened kitchen door, covered with all of the southern comfort food you love. Inside the store, the menu system brings the Down Home Kitchen feel to life.